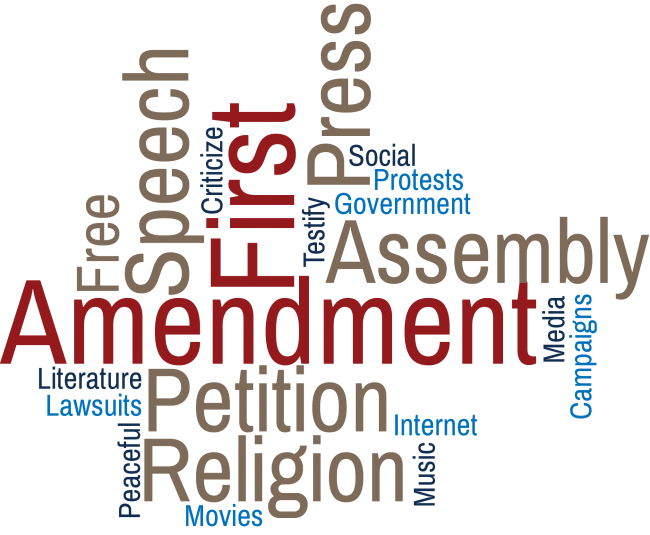 The 1st Amendment to our constitution reads as follows: “Congress shall make no law respecting an establishment of religion, or prohibiting the free exercise thereof; or abridging the freedom of speech, or of the press; or the right of the people peaceably to assemble, and to petition the Government for a redress of grievances.” These things are guaranteed, freedom of speech, freedom to peaceably protest, freedom of press, freedom of religion, and the freedom to complain to the government. This applies to ALL United States citizens. I repeat, this applies to ALL US citizens. While there are limitations to the 1st Amendment (not being allowed to yell “fire” in a crowded theatre, hate speech, etc. ), there are no limits (including age) as to US citizenship. Children born in the US or on US properties, are born US citizens. Children adopted internationally, as were my daughters, who are naturalized through processes at a US embassy of the country adopted from, or go through processes of citizenship back on US soil, ARE ALL US citizens, no matter if 6 months of age, 12 years old, or 40 years old. But I want to stick with the fact, that children are considered “citizens”, which means that they are also guaranteed their 1st Amendment rights. There is no age limit to be able to speak freely. Yes, they must be 18 to vote. Children in most states must be at 16 years old to drive a car. Adults must be 21 to drink alcohol and children must only be 18 to smoke tobacco products. Gun ownership has its own age rules and it is only getting more confusing. But to stay on track on this post, there is no age limit for the 1st Amendment. 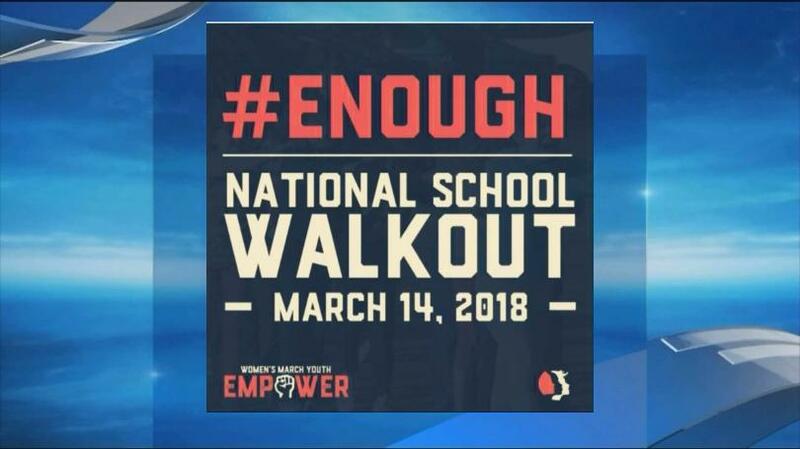 Tomorrow, March 14th, is the first of three planned “protests” to bring attention to something that has existed for decades, but brought to national attention twenty years ago as a boiling point that should never have been reached, violence in schools that led to the massacre at Columbine High School in Colorado. While many people want to point fingers and blame at weapons of choice, the thing that cannot get lost, while the spotlight is on the most current event, is that for twenty years, our country, our government, and even we as citizens, have done nothing to reverse the direction that violence in schools have taken. Even the slaughter of kindergartners and 1st graders at Sandy Hook was not enough to get more of a usual response of “thoughts and prayers”, talk about it, forget about it, repeat. But for some reason, there is a different feeling coming from the senseless tragedy that occurred a month ago in Parkland, Florida. As usual, the adults are doing the same thing as always, “thoughts and prayers”, blame, our government reps talk about it, and as usual, it appears we are once again at the same point as always, ready to move on, to wait for the next massacre. What does not help, is that our President took to two televised opportunities, one, meeting with those affected by violence in schools, and the other in a meeting of senators to challenge them to come up with a solution or solutions that he would approve, acknowledging how dire things have become. He promised families something would be done. The president called out representatives who could be afraid or intimidated by the National Rifle Association. It seemed like things were finally going to be going in the common sense direction. Strict and enforced background checks, increased age limits for long guns to match handguns, banning bump stocks. We all saw the intent and heard the hope from the president. But he lied. Either he had no intention all along, or after meeting with the NRA, he “changed” his own mind, which is kind of ironic considering he had just called out several senators on television for not standing up to the NRA. The bottom line, here is where we are at following the tragedy in Florida, back at the beginning of the next cycle, waiting for the next act of school violence. And I am purposely writing it that way, violence. Because I do not care what weapon is used. We as adults are letting our children down while we worry about ourselves and what we want. In the mean time, more children have died in school violence. The definition of insanity is doing the same thing, over and over and over and over and over, and expecting a different result. I was bullied all throughout elementary and junior high school so I understand violence in school. I graduated in 1983, probably one of the last years that school violence was not put in the national spotlight. Fights and other acts of violence were not dealt with using weapons for the most part. But a few years later, my high school had metal detectors installed after weapons had been discovered being brought to school. Now, many schools not only have metal detectors, but Student Resource Officers or policemen. Is it really not that obvious, that violence had increased to the point that armed police officers now patrol our schools, instead of finding a way to deal with the violence itself before it gets to the point of an actual event? At this point, without addressing dealing with the violence, dealing with the weapons of choice is a moot point. And while we as adults continue to spin our wheels, protecting our own interests, our youngest citizens tomorrow will exercise their right to speak an peaceably protest. For 17 minutes tomorrow, March 14th, many students, none forced to do so, will exit their classrooms, and assemble outside, to remember the 17 victims in the Florida school massacre a month ago. Yes, it will get a lot of media attention. And that is the point. The adults, our government have already moved on. 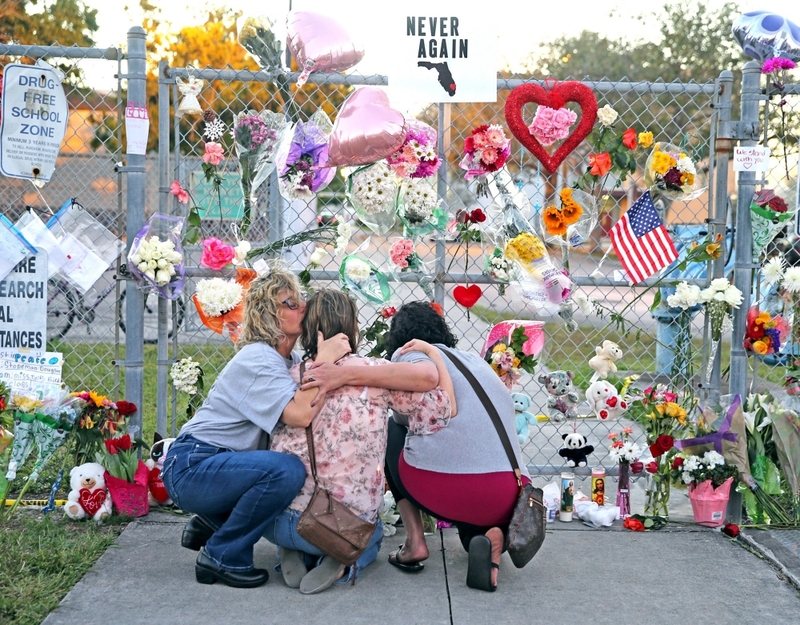 Parkland is now history. But it is not history, and tomorrow children will remind us that we have not done enough, and the children have not forgotten. Seriously, as a reader of this post, are you one of the lucky ones who knows what it is like to have gone to school without fear of being shot or stabbed? Or are you young enough to never know that feeling of being safe? That is how today’s children go to school. They have no idea what it is like to go to school without a legitimate fear of being killed. 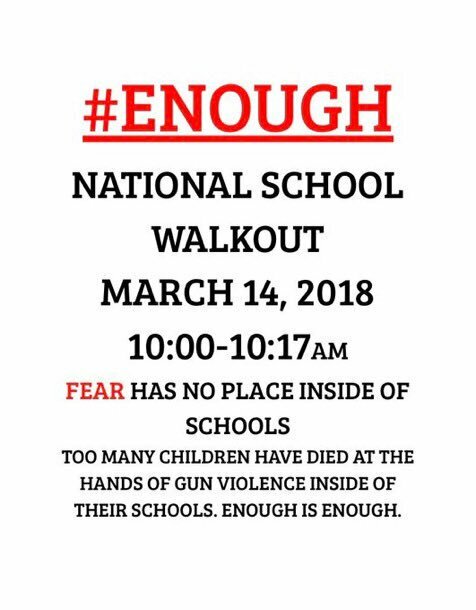 The school district where my children attend school, is taking the approach of providing a safe, structured, and controlled opportunity for its students to participate in the national walkout tomorrow. The district has dedicated space to protest, time to do so, and without fear of punishment for leaving class time. The district is not pushing citizens for exercising their free speech. The same cannot be said for some other districts such Lewisburg, PA that will serve students with a detention (fortunately that will not be a permanent mark on their record, and the district can still be perceived as being tough on dissidents while standing on the 1st amendment rights of the students), or several districts in states like Texas who will actually serve suspensions to students who walk out for this protest. If there is one good response to this particular action, colleges have actually said that participation in the National Walkout tomorrow, and if suspended, most colleges will not hold that discipline against the student applicants. And of course, outside of the schools, and away from the government, there are the rest of us adults. And I believe that we all want our children safe. And I also believe that most of us adults believe in the rights of the students to assemble tomorrow. And for those that do not, do so for any possible reasons. Those that still believe in the “children should be seen not heard” (in other words, have no voice). There will be those who worry that the fire will continue to be stoked with more fuel so that we continue to talk about violence in the schools, and for some, that means a fear of gun control which I have intentionally avoided talking about in this post. Of course, the reality, especially for high school seniors, currently 17 or 18 years of age, are going to be voters. And that is a lot of new voters. Voters who are now paying attention to the inaction of our government. Voters who see the money lined in the pockets of our politicians. Voters who see not the cause of the increased violence in our schools, but definitely see leaders who should be doing just that, lead, and find a solution so that while we protect airports, sports arenas, court houses, we protect our schools with the same efforts. It is ridiculous that we worry about a bottle of water, or a sandwich going through TSA at an airport, but cannot provide that level of concern when it comes to our children in school. So, I have encouraged both of my daughters to participate tomorrow. Realistically, a solution will not happen by the next day, week, or even months later. But children are willing to do what adults are not.